← The Larks and the Owls – chronotypes and desynchronosis. Time for an individual approach with MEQ-SA analysis? Neuropsychological tests in sport-related concussion – are they worthwhile? The article by Shrier in the current edition of CJSM revisits the issue of neuropsychological testing in the setting of sport-related concussion, and poses some searching questions in relation to the use of these tools in the diagnosis and management of sport-related concussion. In particular, he asks ‘…do the results of neuropsychological testing change patient management or provide other clinical benefit to the patient?’ and ‘Is there sufficient evidence to mandate it (neuropsychological testing) as standard of medical care?’ (Shrier, 2012). Whilst it is clear that sport-related concussion is a hot topic in Sports Medicine, with an ever-increasing literature on the subject, and following three expert consensus panellist group meetings since 2001, controversy surrounding the diagnosis, management, and return to play protocols continues to rage amongst academics and clinicians alike. In his article, Shrier concentrates on the application of neuropsychological tests to the sport-related concussion setting. Whilst it is accepted that neuropsychological tests alone are not adequate to confirm the diagnosis and dictate the ongoing management of concussion, they are currently widely used in the rehabilitation and return-to-play setting as a part of an overall neuropsychological assessment for players in elite sport suffering from a concussion – especially in hockey, and college football. Shrier points out that neuropsychological tests are designed to give an objective assessment of brain function, but that ‘the objective in concussion management is to measure brain injury’ and points out that ‘brain injury is only one cause of decreased brain function,’ mentioning that there are several other factors that may affect brain function such as the presence or absence of other injuries or mood disorders (Shrier, 2012). The author does not point out exactly when he means by ‘brain function,’ however, nor discusses in detail any of the other multidimensional tools that may be used to assess this such as EEG and fMRI. There are clearly limitations in using neuropsychological tests in the setting of sports-related concussion related to the issues Shrier points out in his article. However, it is important to remember that it is the application of these tests in the overall clinical context that perhaps assists the practitioner in making an informed and reasoned judgement as to whether impairment in brain function is likely to be secondary to concussion. Further on in the article, Shrier goes on to argue that neuropsychological tests have ‘minimal value for an individual athlete and does not support mandating (their) use,’ (Shrier, 2012) and then examines the arguments for using the tests related to asymptomatic athletes at rest, athletes who are asymptomatic at rest but symptomatic on exertion, and athletes who are asymptomatic on exertion. Whilst there is still academic debate surrounding the clinical usefulness of neuropsychological tests in the setting of sport-related concussions, doubt must also be levelled at their applicability and cost-effectiveness, a point also argued by Shrier in his conclusion. He also mentions that there are not enough neuropsychologists with appropriate expertise available to be able to warrant mandatory neuropsychological testing on a population level for them to be considered as standard of care, which is certainly true. In his conclusion, Shrier argues that ‘NP testing provides only a small increase in prognostic information and does not change the management of athletes who are symptomatic at rest or with exercise,’ and points out that ‘There is no evidence that abnormal NP testing is associated with increased risk of further injury or delayed recovery in athletes who are asymptomatic at rest and exertion.’ (Shrier, 2012). 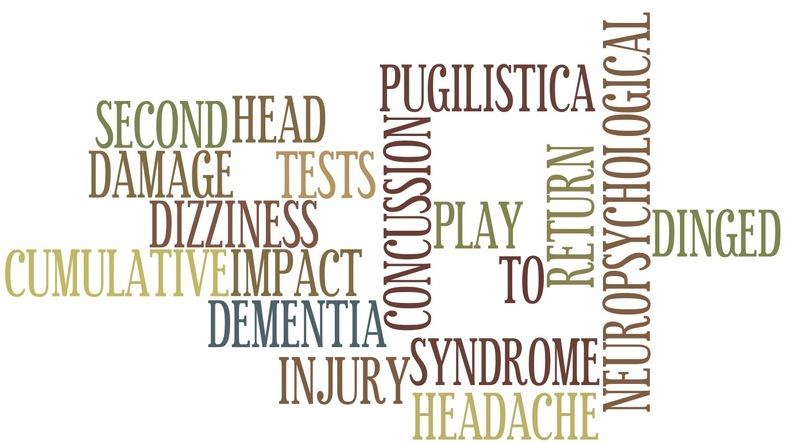 The Concussion in Sport group, however, in their last consensus statement mentioned that ‘the application of neuropsychological testing in concussion has been shown to be of clinical value and continues to contribute significant information in concussion evaluation.’ (McCrory et al, 2009). No doubt Shrier’s article will fuel much continuing academic debate on the use of neuropsychological tests in the setting of sport-related concussion. Are you using these tests as part of your overall concussion management programme? CJSM would like to hear your thoughts on the debate. One Response to Neuropsychological tests in sport-related concussion – are they worthwhile? In conducting my research in amateur rugby league and rugby union I have used the SCAT2 and the King-Devick tests. I use the King-Devick to first identify if a concussion has occurred and then once identified I use the SCAT2 and King-Devick to monitor the progress towards return to play. I also require the players to be seen by a medical doctor for a medical clearance but this does not mean that they can return to play immediately as I also await their scores to equal or better their baselines before I am happy to allow them to return to play. I am an amateur sports researcher, registered nurse who has an active interest in this aspect of sports injuries. The King-Devick takes 2 mins to establish a base line, less than a minute to administer per player after the game and has repeatedly assisted in identifying players that were concussed but were not witnessed from the sideline. Having big expensive tools to do what I have done on the sideline is not always necessary. We have no funding for this sort of equipment but I can report that we have picked up 5 missed concussions during matches that would have gone unnoticed if we had not done the test. Value: As far as I am aware no other team in the competition, or in the country, is doing any of these sidelines tests. Therefore according to the article this is of little value – I disagree as I have identified 5 players with a concussion that would have gone about their life not knowing they were at risk and maybe have subsequent head injuries with who knows what life long effects they may have suffered. Five players who were rested and most of them have personally thanked me for stopping them playing injured. Now that is value.